Mr. Robert James, a 5th grade teacher in PA, created a solid colonial brochure project for his class and posted the guidelines along with the rubrics he uses on his class Google site. I came across his site when I started teaching 5th grade a few years ago, and I’ve been doing this project with my class since. My kiddos create a brochure, just as outlined by Mr. James for his class. The students are then able to dress up as the governor of their colonies as they present a speech to convince the parent and student audience to settle in their colony. I’m sure I’m not the only one who will find Mr. James’s project outline helpful, so I provided links to the resources I use for my class’s 13 Colony Report below. As mentioned, the guidelines and brochure rubric are credited to Robert James. You can view his website here. I use his wording in the overview I created for my class. You will find my overview along with links to Mr. James’s overview and scripted notes below. I also provided a link to a Weebly of approved websites I designed to help students when researching. 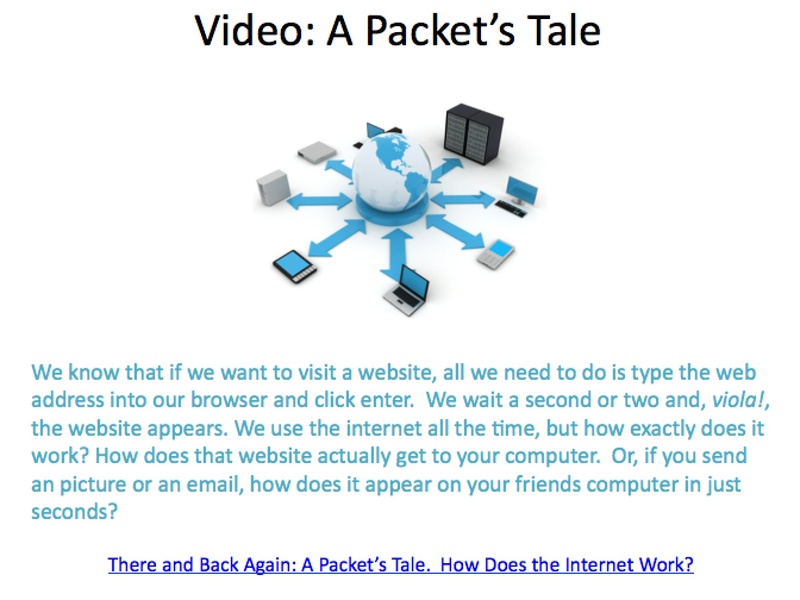 Last, I included a video I created a few years ago to explain the project to my class while I had a substitute. I then decided to share the video with parents since it provided an overview of the project, and they found it very helpful. I now share this video with parents each year. Original Guidelines and Rubrics (created by Robert James) – I plan to use the feedback form on the last page this year. 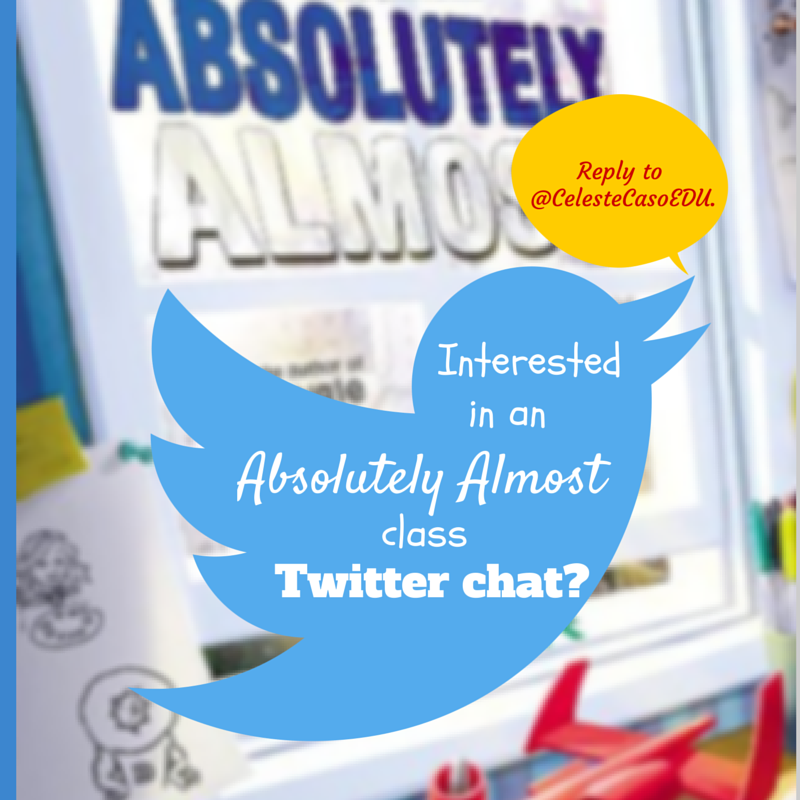 Join my 5th grade class for a Twitter chat about Absolutely Almost by Lisa Graff. I’m looking for 4th, 5th or 6th grade teachers to participate in a Twitter chat with my class. The topic will be the novel Absolutely Almost. It doesn’t matter where you are in the novel, we can make it work. You can even start the book this week. My class can host (unless you’d like to split the hosting which I’m open to), and we will make sure to include questions that are relevant to your place in the novel. I’m currently reading this book aloud and we’re about a third of the way through. It’d be ideal if we could schedule a couple chats, but I’d be happy with setting up a single, one-and-done chat if that suits your needs better. I’m ready to start as soon as possible, but again, I’m flexible. Goal: Students will use writing, reading, collaborative, and technological skills to communicate with other classes on a global network. Students will conclude that they can connect with others about books and reading and that they are a part of a global community of learners. Discussing books is cool! We will choose a date, time and tag to use for the chat. Our students will craft a number of questions. We will meet to discuss questions generated by our students. Students will discuss each question on Twitter. This is basically a Twitter lit circle, allowing students to connect with each other around the country/world about books and reading. I hope you see value in a project such as this. Please complete the form below if you’re interested. Fingers crossed! I’m 100% open to your suggestions to make this a success for our students. If you prefer, you may also click here to expand the form and complete it on a full screen. Check out my Absolutely Almost tag for Absolutely Almost resources (free read aloud or lit circle guide and various other ideas and printables). Click here if you’d just like the guide. First, read the post When Not to Use Technology: 15 Things That Should Stay Simple In Education from informED. If you like it, you may like to use the checklist I created from Saga Briggs’ suggestions. We tend to notice the extremes, those who want nothing to do with technology and those who dive in head first and crowbar it into every lesson and project. There is a happy medium. Many of us may feel we’ve found this cozy place, but the informED post is a nice reminder to be mindful of technology integration and make sure it is the best medium before embarking on a project. As I mentioned in my last post, technology itself is a motivator for many students, but we should always check to make sure we are creating purposeful projects. Do you have a new project to evaluate or would you like to reevaluate a project you’ve done in the past? Use this checklist to help determine if technology is warranted or not. Use this checklist to evaluate whether your tech integration in purposeful and beneficial. Click the image to print. 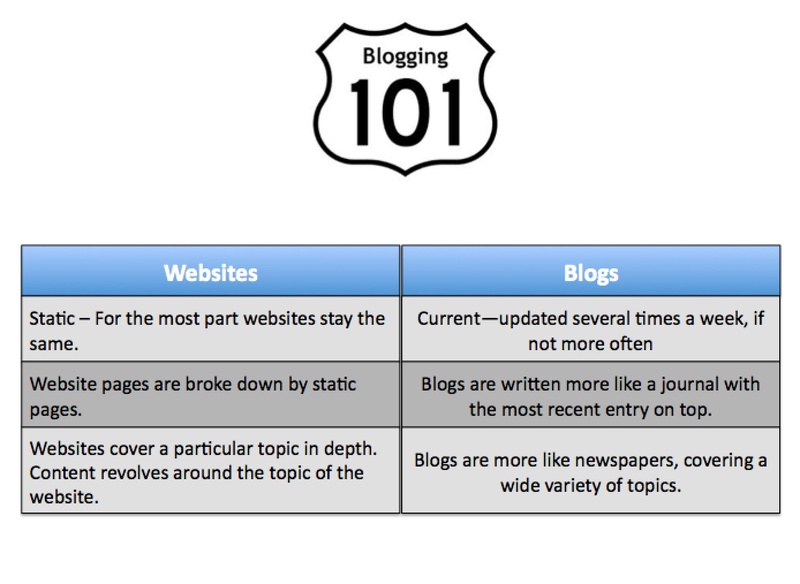 Thank you, Saga Briggs for a well-informed and useful post, and for the constructive reminder to keep it simple! 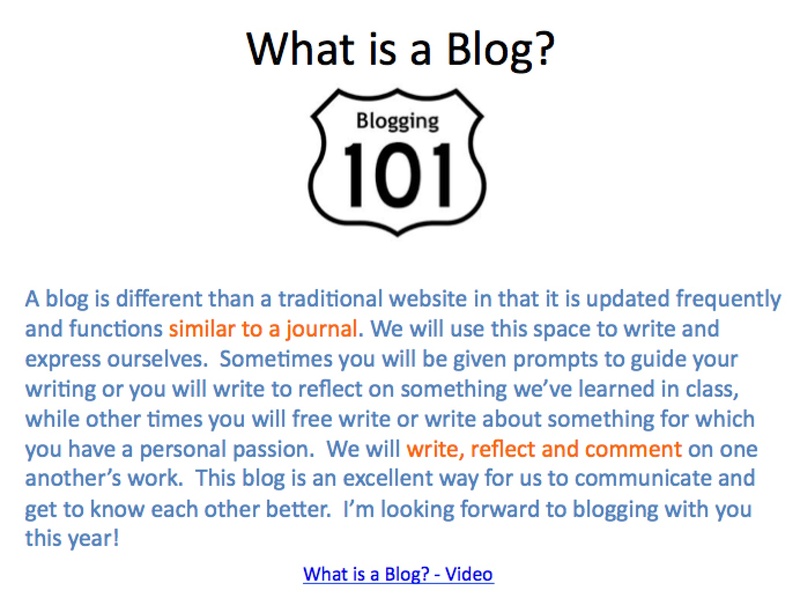 KidBlog is a huge hit in my classroom and I find it to be an incredibly useful and beneficial educational tool. The success of KidBlog in your classroom greatly depends on how you roll it out. 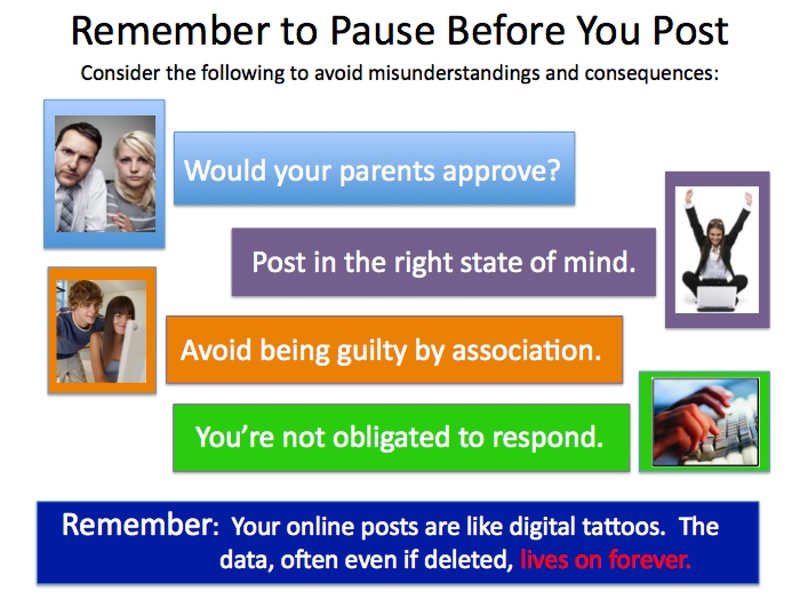 At any level, elementary or middle school, the class must first discuss internet safety and blogging guidelines. This itself is a valuable learning experience. I’ve had great success with KidBlog in my classroom and I’m happy with the Technology/Character Development lessons that I use prior to allowing students to make their first post. 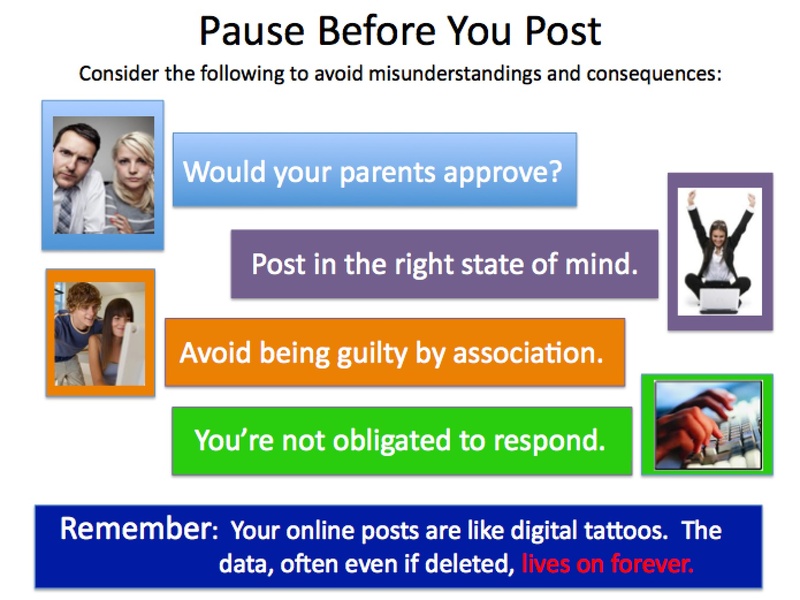 I go over the following information before allowing kids to post or comment on the class blog. I’ve broken my PPT down below, and I’ve provided a link to download it at the end. This slide is not essential. I include it mostly because students are intrigued by it and enjoy it. 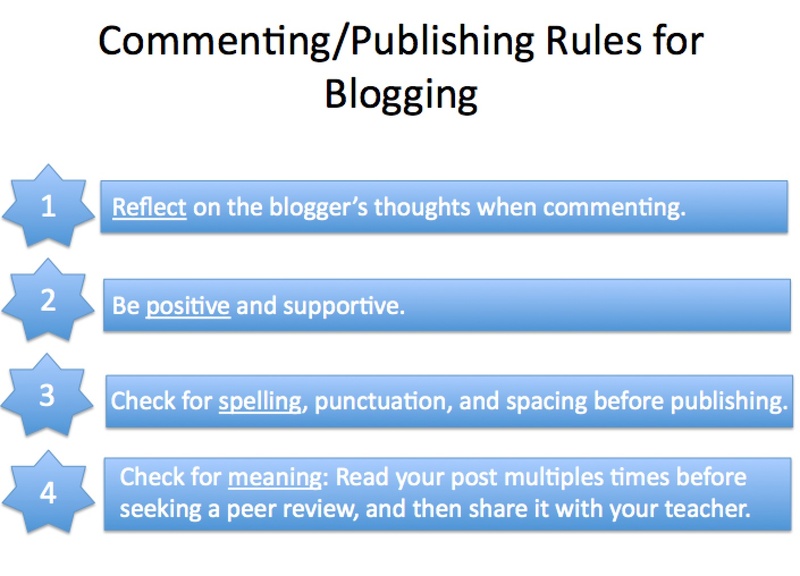 Slide 8: Commenting / Purpose: Discuss the Difference Between Criticism and Commentary. We discuss these two terms and the difference between them. I then provide comment examples and have students discuss whether they believe each is criticism or commentary. 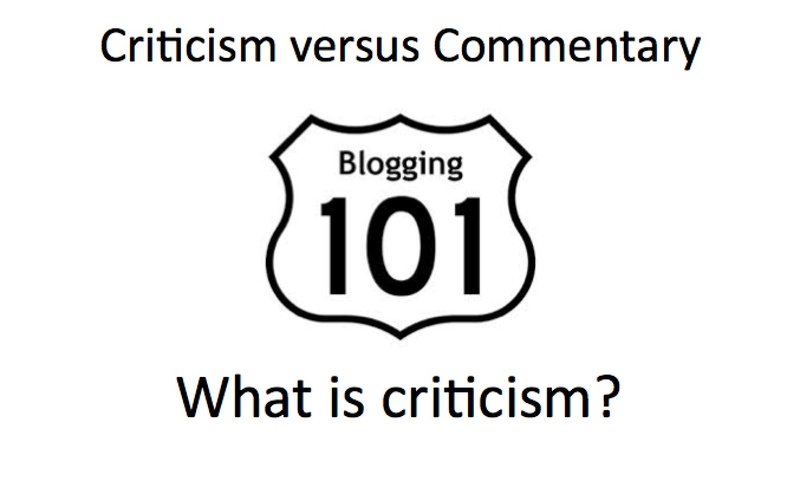 When identified as criticism, I challenge the class to adjust the comment to make it appropriate, supportive commentary. This is always a great exercise that students remember. I really hit this hard. At the beginning of the year, you have the opportunity to set the classroom climate. 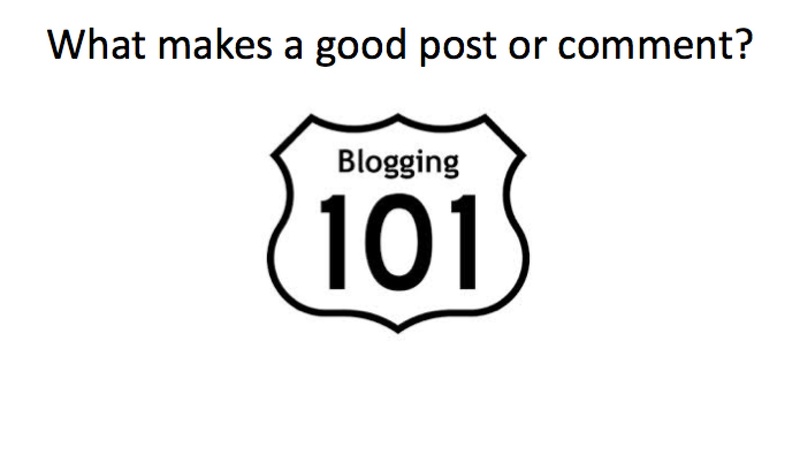 The same goes for a class blog. 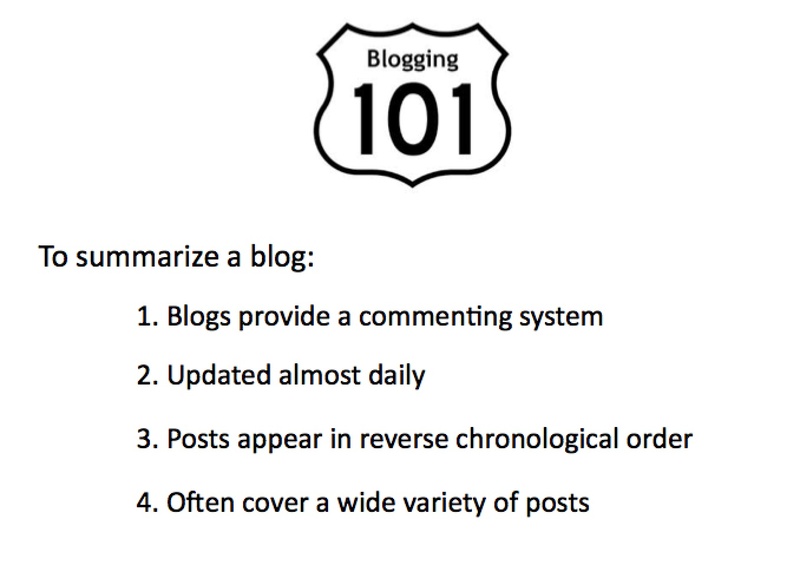 Clear guidelines and expectations must be set so the blog runs smoothly and productively. Take the time to launch Kidblog successfully in your classroom, and the educational benefits of using a such a tool will be profound. Keep an an eye out for my next post which will highlight the many benefits I’ve seen in my classroom.